Today we see the release of a major update to the original Librarium Dragonbones sample project! 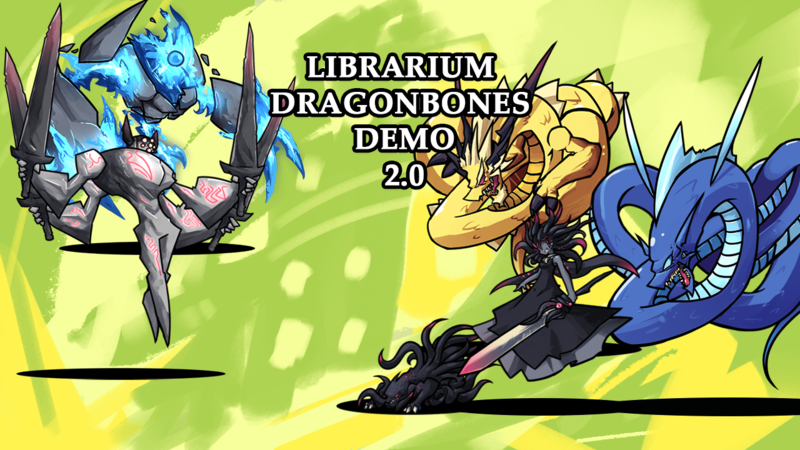 The Librarium Dragonbones Demo 2.0 provides a reference point and starter project for those looking to implement Librarium’s Animated Battlers into their own projects but are unsure on how to set everything up! It provides a base framework to visualize what you can expect with Librarium Animated battlers, and also tips on how to adjust their battle sequences and actions!